The Lompoc Flower Festival is the annual celebration of the most visible and beautiful crop in Central California. 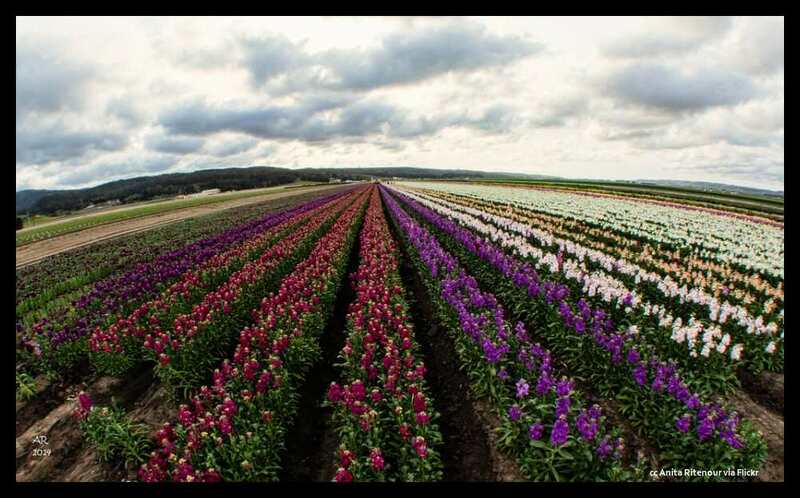 The Lompoc Valley is home to many flower seed companies which grow their colorful crops to fill the little packets you buy for your garden. Located on Highway 1 between Highway 101 and the ocean, Lompoc is a bit off the beaten path, but is worth the extra effort. Near Mission La Purisima, this area is also famous for wine and most recently, micro breweries. A previous Photo of the Week selection. 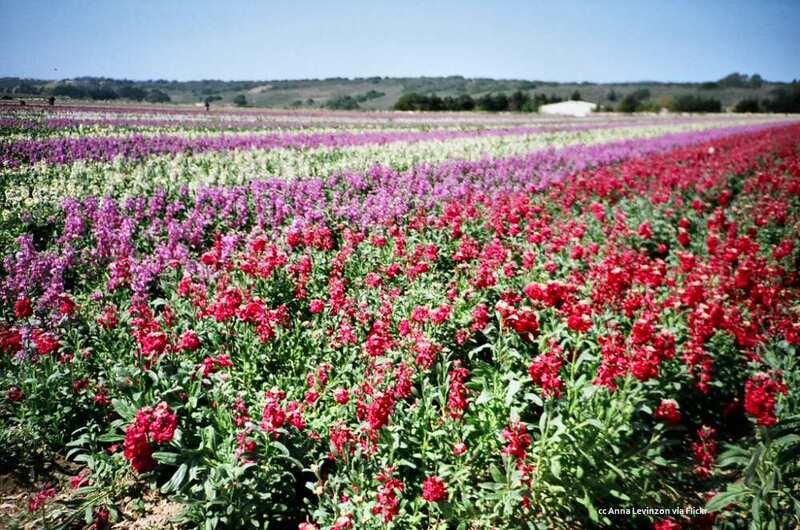 The Lompoc (pronounced Lom'-poke) Flower Festival celebrates the flower seed industry that produces a large portion of the world's supply of that commodity. 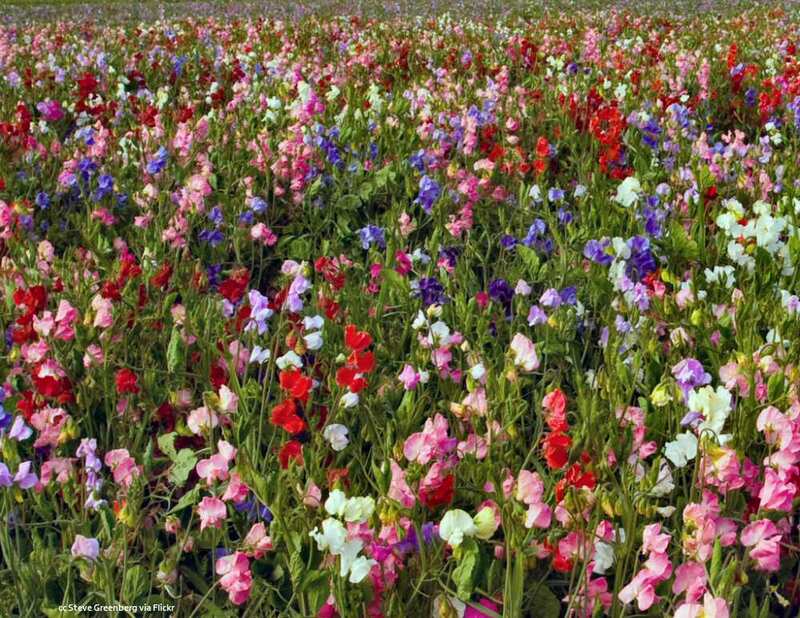 Statistics don't impress the same way as standing in the midst of thousands of acres of flowers of all colors stretching out in all directions. That is spring and summer in Lompoc. And that is the energy behind the Lompoc Flower Festival which is held the last week in June. 2014 the festival begins on Wednesday June 25 and ends Sunday June 29. A parade (of course), a carnival, food, drink, entertainment and arts and crafts make up the events taking place. More information can be had at this link (opens in a new tab). City Government: Incorporated 1888; founded in 1874 as a temperance city. 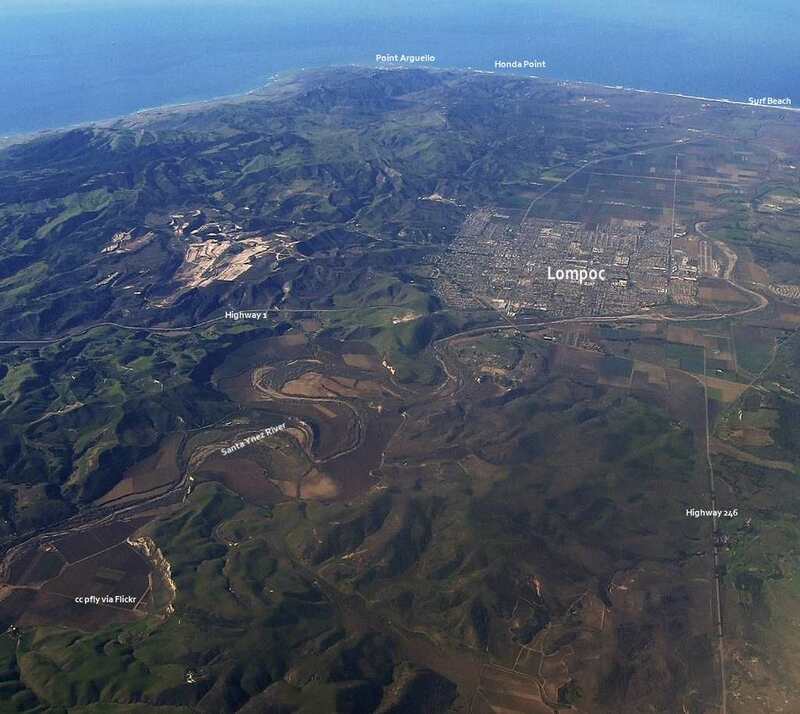 Lompoc is located only 10 miles from the coast, and really isn't a "beach town". There is a small stretch of beach at the end of Highway 246 called aptly "Surf". It is technically part of nearby Vandenberg Air Force Base, but is open to the public. The Amtrak "Surfliner" stops here on its way up and down the coast. 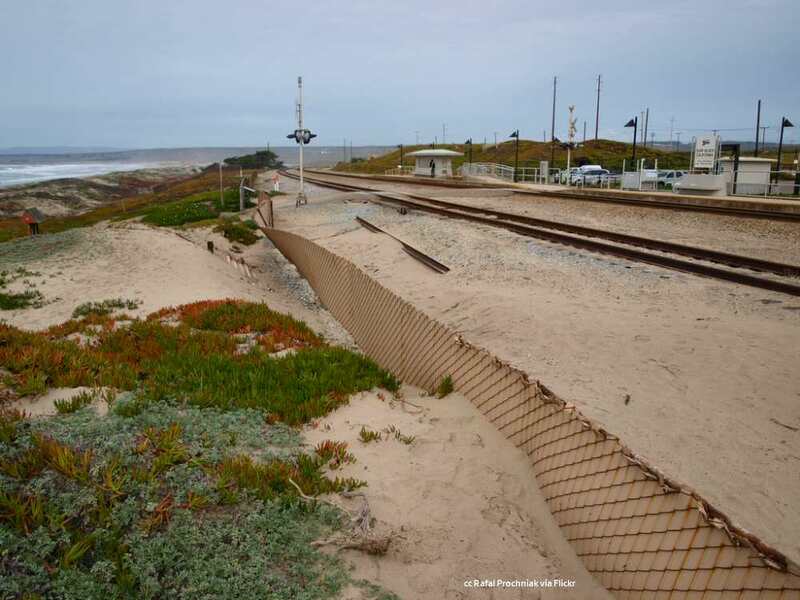 Lompoc is also the closest town to that wonderful, hidden gem of Jalama Beach. Lompoc is also near Mission La Purisima. 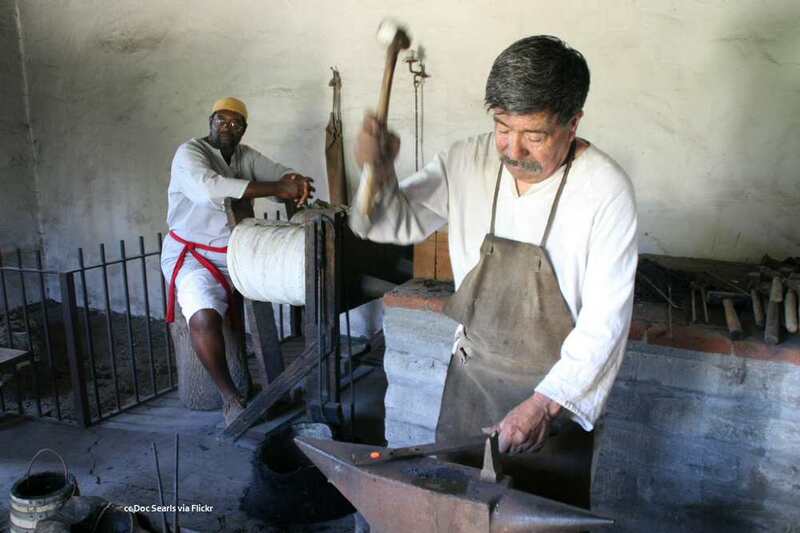 The mission is now located northeast of town, but was originally sited along the hills at the southern end of Lompoc until a magnitude 7 earthquake destroyed the two decades of work from its founding. A naval disaster took place nearby in 1923 when 9 destroyers grounded on Honda Point just a few miles down the coast from Surf. Some artifacts from the ships are now displayed at the Veteran's Memorial Building. While it can't be visited and no historic buildings still exist, the Point Arguello lighthouse is nearby. It is only viewable when traveling on the Amtrak. Vandenberg AFB is also home to the Space and Missile Heritage Center. Tours are available and more info can be found here. 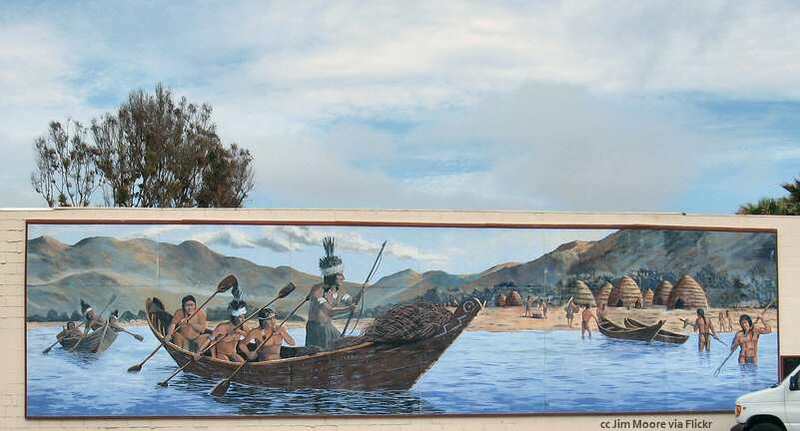 The city of arts and flowers - Lompoc lives up to its motto in a great display of murals. More than 30 are scattered throughout the town. Click here to download a pdf file (Adobe Acrobat) listing all the murals in town. 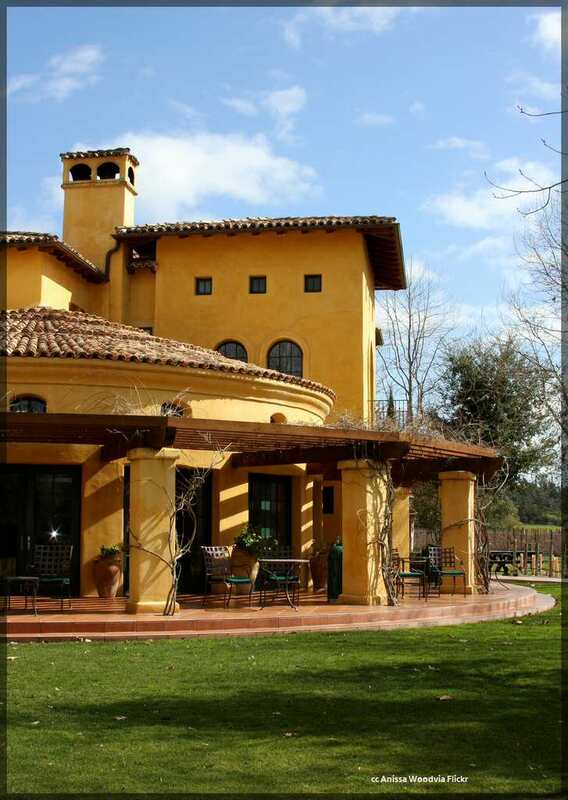 Lompoc is also located near the renowned Santa Rita Hills AVA and there are thirty plus wineries and their tasting rooms in or just outside of town. In town there is the Lompoc Wine Ghetto with 19 tasting rooms clustered in the area near Highways 1 and 246. Whether you're planning on attending the Flower Festival or come to Lompoc at another time of year, there are many attractions and diversions for you.